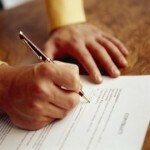 Several executive moves this summer look to make a significant splash across the GovCon community. Last Friday, Battelle’s Board of Directors announced that Lewis “Lou” Von Thaer had been selected as President and CEO. The Board noted that Von Thaer’s extensive leadership experience across multiple disparate markets, such as engineering and intelligence, made him a natural choice to succeed the retiring Jeff Wadsworth. Wadsworth will be postponing his retirement by two years to stay with Battelle and work with Von Thaer to “ensure strength of operations, implementation of a long-term growth strategy, and an orderly succession planning process.” Von Thaer previously served as CEO of DynCorp International. 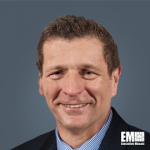 DynCorp wasted no time in securing Von Thaer’s successor, announcing last Friday that George Krivo would be appointed as the company’s new CEO. Krivo had previously served as DynCorp’s Chief Operating Officer. Krivo is a nine-year veteran at DynCorp, where he oversaw profit-and-loss accounts for the firm’s contingency operations, intelligence and training functions, and operations and maintenance. On Wednesday, L3 Technologies announced that Christopher Kubasik is slated to succeed Michael Strianese as President, CEO and a board member effective January 1st, 2018. Robert Millard, Lead Independent Director of the Board, noted that Kubasik’s “30 years of experience in the defense industry positions him well to fill the CEO role seamlessly as L3 continues to expand and fulfill its vision.” Michael Strianese will retire from his role as President and CEO but will continue to serve as executive chairman of the board. Fluor announced on Tuesday that Bruce Stanski, President of Fluor’s government group, had been promoted to Chief Financial Officer, effective August 4th. In his new role, Stanski will oversee Fluor’s finance, audit, investor relations, compliance, ethics and merger-and-acquisitions functions. 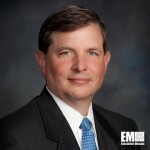 Stanski succeeds Biggs Porter, who is retiring but will stay on as an advisor for NuScale Power, a Fluor-backed nuclear technology provider. 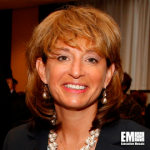 At the tail-end of June, Lisa Atherton was appointed as Textron Systems’ President and CEO. 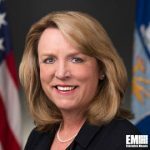 Atherton succeeds Ellen Lord, who was nominated as Undersecretary of Defense Acquisition, Technology and Logistics. Atherton had previously served as Executive Vice President of Military Business for Textron’s Bell Helicopter subsidiary. 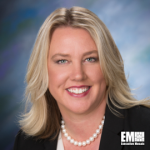 In her new role, Atherton will be responsible for executing current programs, generating future growth and next generation products and programs. 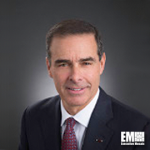 David Dacquino, Senior Vice President of Defense Business at Serco Group’s Americas division, was promoted to Chairman and Chief Executive Officer of Serco Inc. in mid-June. Dacquino, a more than three-decade veteran of the GovCon industry, will succeed Dan Allen in mid-2017. 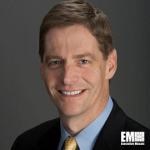 Recently, Jim O’Neill came back to the GovCon industry from retirement and joined XiDrone as an Equity Partner and Chief Strategy Officer. 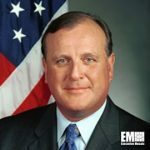 O’Neill held senior-level management positions at seven leading corporations, including Siemens Enterprise Communications Group and Northrop Grumman Information Technology. Currently, XiDrone is the sole counter-drone technology company to obtain U.S. patents for multi-sensor systems and is working on patents that integrate their multi-sensor system to disable small unmanned systems threats on land and sea. As the summer wears on, we can expect to see more movement in the upper echelons of the GovCon industry, as well as new initiatives, programs and products borne of these changes in leadership. This week’s top GovCon contract awards. 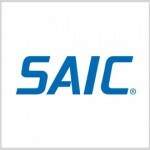 CGI, GE, SAIC, Booz Allen Hamilton, Leidos, Huntington Ingalls, CAE, Northrop Grumman & more. 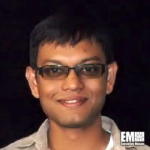 Bikash Koley, head of network architecture, engineering and planning at Google, will join Juniper Networks in August as chief technology officer. 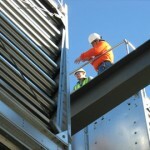 Seven companies have won spots on a potential five-year, $900 million contract to design and build healthcare facilities for the Air Force Medical Service across the U.S.
Leidos has secured a position on a potential five-year, $679 million blanket purchase agreement that covers information technology support services to the Nuclear Regulatory Commission. 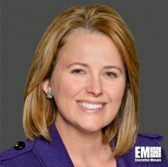 Amy Fliegelman Olli, formerly senior vice president and general counsel of Avaya, has been appointed to a similar dual-role at VMware in a move that takes effect Aug. 28. 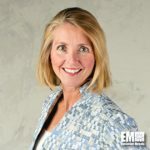 Mara Motherway, a principal at Booz Allen Hamilton, has been named head of government relations at the McLean, Virginia-based management consulting firm. 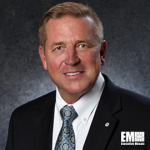 Science Applications International Corp. has received a potential seven-year, $621 million task order to provide a range of information technology support services to the U.S. Central Command‘s J6 directorate. Bruce Stanski, president of Fluor‘s government group since March 2009, has been promoted to chief financial officer of the Irving, Texas-based construction and engineering services contractor in a move that takes effect Aug. 4.